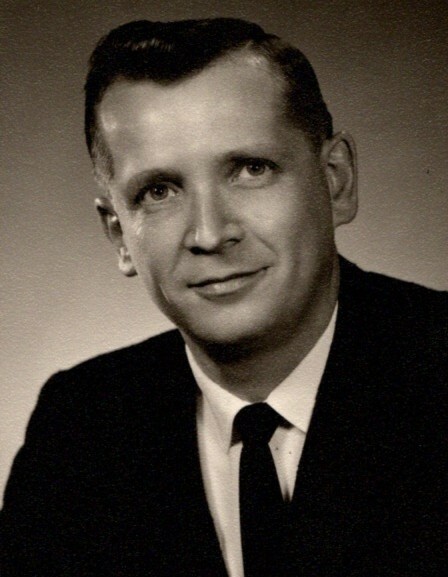 Allan W. Madsen “Al” of Owatonna, Minnesota passed away on April 2, 2019 in Rochester, Minnesota at the age of 92. A memorial service will be held Thursday, April 18, 2019 at 11:00 am at Our Savior’s Lutheran Church located at 1909 St. Paul Road Owatonna, Minnesota. Family will greet friends one hour prior to the service at the church. Military honors will be provided by the Steele County Funeral Unit. Al was born April 27, 1926 in Austin, Minnesota to Adolph and Astrid (Pedersen) Madsen. Growing up on their family farm in Blooming Prairie, Al and his four brothers were taught to appreciate the heritage of the “Old Country” – Denmark. During WWII Al left Blooming Prairie High School to honorably serve in the Navy. He returned to school to actively participate in sports, music and drama. He graduated in 1946. Al worked in the tool and die department of Jostens for 42 years. Concurrently he owned and operated Madsen Nursery and Landscaping Service just shy of 50 years. The highlight of the summer for many was his fresh picked sweet corn. Al was a proud member of the Elks for years and rose to the rank of Exalted Ruler. During his free time, Al enjoyed fishing, bowling, and a good game of cribbage. Traveling was a true passion for Al. He had many adventures throughout the world. Allan is survived by his children, Gwen (Wendell) Amstutz, Rochester MN; Larry (Mary) Madsen, Columbia Falls, MT; Jill (Dave) Sawyer, Gainesville, VA; seven grandchildren, and four great-grandchildren. He was preceded in death by his parents; wife, Marilyn Madsen; wife, Tillie Madsen; son, James; four brothers and a granddaughter.